On the afternoon of 9/11, Colorado Governor John Hickenlooper and Denver Mayor Michael Hancock were hosting “Colorado Remembers 9/11,” a large, patriotic memorial to the lives lost on 9/11 and a tribute to our military at Denver’s Civic Center Park, which lies between the gold-domed State Capitol building and the County Court House. There would be military flyovers, taps, a firing salute, a children’s chorale singing the national anthem, a Beach Boys concert, and all the patriotic, nationalistic fervor of a nation remembering the terrible attacks of ten years earlier. Thirty thousand people showed up. The ceremony began with a procession of flags, drums, and bagpipes, and hundreds of police, firefighters, first responders, and military personnel. A traveling memorial of bent and twisted steel from the twin towers draped with a huge American flag brought to mind the violence and devastation of that day in Manhattan. Police were everywhere, and snipers could be seen brandishing weapons on nearby rooftops. A few days earlier, the Colorado 9/11 Visibility team and We Are Change Colorado were planning how to get some truth out at such an occasion. Imagining a crowd deeply steeped in the official story passing the beer and calling for more militarism, there was some trepidation about trying to flyer or hand out DVDs. We weren’t sure how the Truth message would be received. But it turned out the crowd was mostly there to relax in the late summer sun and enjoy the Beach Boys. To the pleasant surprise of the activists, people started reading the signs with interest. Excited to see us there, a few people even emerged from the audience to help hold the banners and signs. 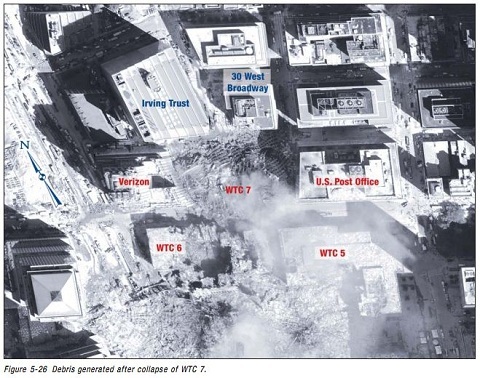 A crowd favorite was the WTC7 banner which explained how the building collapsed. All afternoon, people at the event read that sign and then asked for a DVD and flyer. For many, this was the first time they had heard about controversial Building 7. Each of the small groups had a similar experience. Many friendly conversations ensued as members of the public asked questions, thanked the activists for being there, and shared their own awareness. While the huge majority of comments were favorable, there were a few of the usual verbal taunts, which were allowed to pass without incident. One particularly ironic joust was directed to an activist of Lakota Sioux heritage. “Go back to your own country!” Although it may have been lost on the intolerant individual to whom it was directed, without missing a beat the activist responded, “This is my country!” The activists distributed over 1500 DVDs with flyers, including many copies of 9/11: Blueprint for Truth.